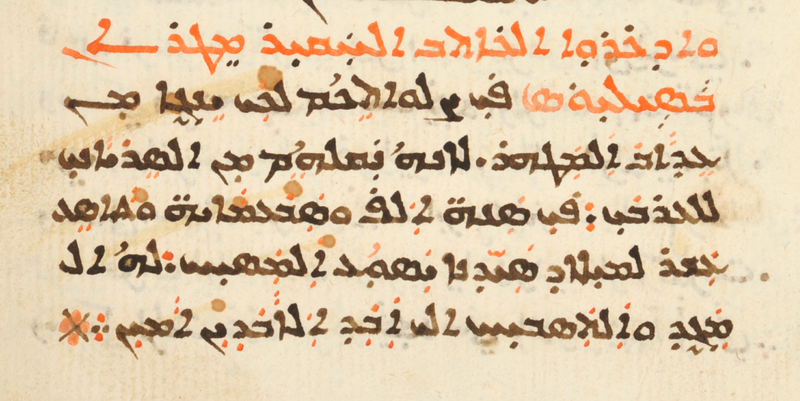 As a similar example in Arabic (Garšūnī), below is a simple colophon that comes at the end of a treatise attributed to John Chrysostom (“On the Departed, That it is not Appropriate to be Overly Sad about them”) in the manuscript Chaldean Cathedral of Mardin (CCM), 13, f. 120. The language is Arabic, but written in East Syriac script; for those who may not be familiar with the latter, I have transcribed it into Arabic letters and I have also given an English translation. Remember in your prayers the poor scribe, Muṭrān Basilios, that he might be delivered from the torment of purgatory, because he translated these [texts] from Syriac into Arabic in the year 1719 of the nativity of our Lord Jesus Christ, to whom be glory and praise forever and ever. Amen. A friend of mine shared this documentary from BBC Persian on Prof. Ehsan Yarshater (b. 1920) and the amazing work of the Encyclopaedia Iranica (online here). It’s in Persian, but English subtitles are available. Knowing the background and looking behind the scenes of major research projects such as this — or the CAD, for another example, volumes of which, like the Encyclopaedia Iranica, have also for some time been freely available online — is not an opportunity to be missed even by those remotely interested in whatever field the project concerns. In this case, the field is the full breadth of Persian history, languages, literatures, and connections with cultures across a long time period. We can be very grateful that the Encyclopaedia is freely accessible online, rather than hidden behind extortionate tomes in perhaps too distant libraries to multitudes of would-be readers, so interested researchers of all kinds have an ever fruitful resource at their fingertips. But even more than on the Encyclopaedia itself, we get to hear firsthand from a hard-working and experienced scholar. Yarshater mentions his studies many years ago with W.B. Henning and Mary Boyce. I always enjoy seeing scholars’ workspaces, and we have that here, too. We hear him using Persian proverbs and reciting some lines of poetry. In his voice and memories we see an inspiring gentleman. These twenty-five minutes, then, will make for worthy time to anyone interested in Persian culture and intellectual biography.